Kihon Media helps attract and retain customers through innovative e-mail programs. Its flagship program called "Sensible Driver®", attracts and retains customers for auto dealerships and auto-repair shops. Web Style Media, LLC developed new modern website with Drupal 7 CMS and social integration features. 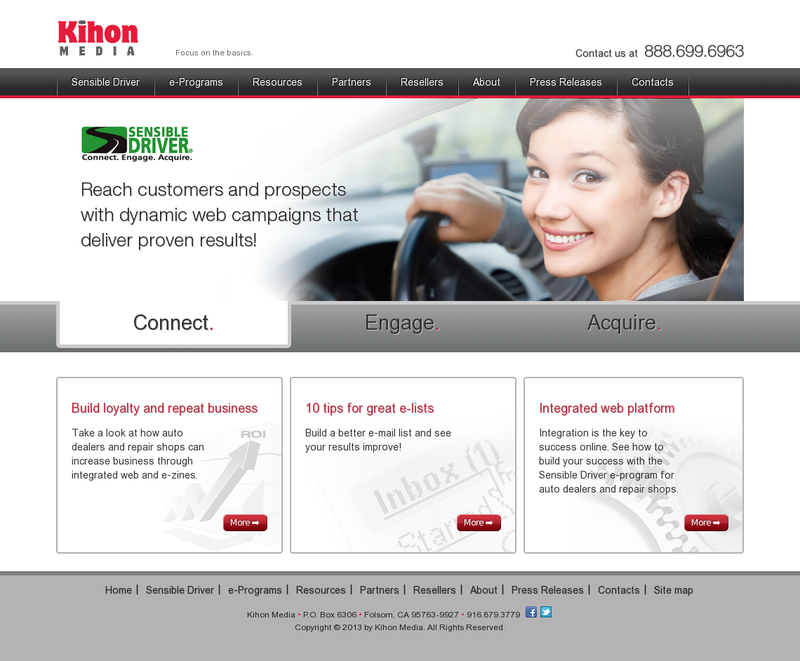 Web Style Media, LLC also helps Kihon Media in Sensible Driver® program development.